AnonD-139514, 16 Dec 2015there is fm hardware in the phone..just download fm app from the store and connect your handsf... moreThanks, becool79. 3rd party apps won't work on the European 950 devices at this moment. It might be different situation in some other continent. A downloaded FM-radio app only says device is not supported. It seems that the tuner is not even enabled by firmware. There is no FM-radio (app) on the Lumia 950 at this moment. I don't why? 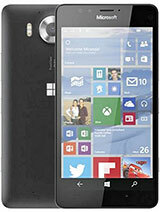 I hope the Microsoft will tell us is the issue on hardware or just only product segmentation. 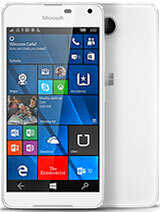 I picked up the Lumia 950 on launch day (Nov. 20th). 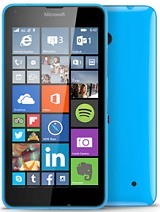 This is my first ever windows phone so I am not a Microsoft fan boy or loyalist. What almost every review states is that there is nothing that would lure someone away from iPhone or Android...well, in my case, they were wrong. You see, some people out there are actually NOT HAPPY with iPhone or Android. I was one of those people. I had used iPhone for years, hated iTunes so switched to Android. Used Android for years, hated it so decided to give windows a try. Now, 1 month in and I feel like I have at least some experience with the phone to feel confident enough to talk intelligently about the good/bad of this phone. So, here is my impression. 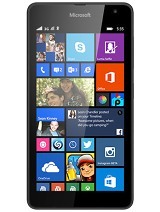 Most reviewers are talking about how this phone does not hold up to competitive platforms. I would have to say that that spending 2 days with a phone or even a week as a test vehicle is not enough to really understand where this phone shines. Furthermore, if you are not running Windows 10 on your PC and your Phone, then you are missing a powerful experience and quite frankly missed Microsoft's vision and message around Windows 10 as a holistic approach across devices. This phone is an extension of your PC experience, not separate from it. Look at it this way, if you are using an Android phone and a Windows PC, you are managing 2 different experiences. Sure you may have your exchange account on your phone and your email/calendars sync, but you are still managing 2 different experiences across 2 devices. Win 10 on the 950 looks and feels like an extension of my PC experience...this is HUGE and a key component of Microsoft's vision. Notifications, Cortana, contacts, menus and more are seamless extensions of the PC experience. Set a task, reminder, appt. in Cortana on your phone, it sets it on your PC and vice versa. The settings menu on the phone is remarkably similar to the settings menu on your PC. Notifications carry across from one device to the other. You see, you, your profile, your experience is the center, not your device. This is vastly different and really important to understand. You can't get that experience by testing the phone over a weekend...you need to use it as a daily driver for an extended period of time to appreciate just how fluid the experience really is and why it matters. So, let's talk app gap. I get that for some people this is really important. If you work/life is dependent upon a specific app, and that app is not on Windows, then maybe the phone is not for you. For me, this was almost a non issue. I looked at my Android phone and the apps I had on there and the apps I used frequently. Every app I used with the exception of 3, yes 3, were available on Windows phone. Now the 3 that were missing were a little painful but I found workarounds for them so in the end, it was not a showstopper for me. As for stuff like snapchat, frankly I really don't care as social media apps are not on my needs list. As for reviewers that complain about premium look/feel. This is another one I don't understand. As someone else pointed out, most people I know all slap cases on their phones so does it really matter what a phone looks like if it is just getting covered up anyway? It's a phone, not a piece of art you hang on a wall. In terms of features, this phone is on par with every other high end phone out there. Similar cores, similar ram, similar screen specs, similar size, similar performance, battery life, etc. 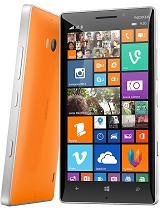 So you really can't say this is not a premium spec phone with any credibility at all. 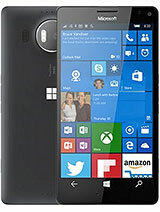 Factor in features like expanded memory slot, wifi sense, storage sense, ability to attach files to emails, native office applications, continuum, miracast that actually works, killer camera (best I have ever seen), beautiful screen, usb type c, and as referenced, seamless phone/pc experience and you have a really, really good phone. As for the bad stuff or stuff that needs improvement? Yes, there is some of that as well. I have seen some minor bugs. Nothing that I have not experienced on other platforms but they are there none the less. Are they annoying? Yes but that is true regardless of platforms. However, there are some things I think they need to address. For example, one nice thing I like about android is that I could organize my contacts for quick dialing. I could create groups, favorites, etc. I could see about 12 contacts on the screen at one time in my favorites list...with windows, I see only have that many by line entry. Is that a showstopper? No, but annoying. Microsoft could stand to use the screen real estate a little better that way. Stuff like showing my phone number will calling folks should be in the phone setting (as it is) but should also be in the Privacy screen (as it is not). Fingerprint scanner is probably something they should add as an option to the iris scanner. By the way, the iris scanner works pretty good for me under all lighting conditions. Now, I did turn it off because it did feel like it chewed through the battery a little faster, but that could be due to me playing with it a lot when I first got the phone. I have mixed feelings on the camera button as I have accidentally launched the camera without wanting to but just picking up the phone. I think I would recommend putting the phone screen button on top instead of between the camera button and volume buttons. I feel like I am always hitting a button just trying to pick up the phone. Again, showstopper? Nope, but minor annoyance. So, am I happy with this phone? Yes, so far I am quite impressed. Therefore, my final words are if you are happy with your current platform, then stick with it...why would you be looking anyway. 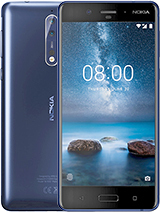 However, if you are not happy with your current platform, then this phone should be a serious contender....especially if you are a windows 10 user on your PC. chirag1996, 14 Dec 2015What about phone speed and what about its camera...the camera is one of the best in mobile smartphone arena, speed much faster than Lumia 1020.
iam happy with my purchase of Lumia 950 white color and gonna install my mozo case red leather with gold rim...I got limited edition Lumia 950..
Today I have the phone. One word... It's a beast of a phone. Fluid with SD 808, 3 gigs RAM, 3000mah batt. There is scope for OS to be polished. I think it can only get better from now on! Luz, 08 Dec 2015I got a Lumia 950 after LG G2. It's a really betaphone, don't buy if you dont't like challages... moreI don't believe you at all, it sounds like trolling. Is Flash player available in lumina 950 ? I just got to say that this is indeed a superb device.loving it alot. Does it have a proper download manager in win 10 can you download large files 1gb? I can't afford this, in my country it goes to $800, it's still cheaper than a brand new iPhone ($1200). But the phone seems to be great. aby2287, 11 Dec 2015Overheating display... Android application installation crash.... dont buy anyoneeee........ moreLol lagdroid fan talking about overheating issues. 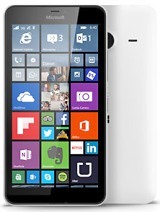 Total of 1458 user reviews and opinions for Microsoft Lumia 950.